CLEVELAND, Miss. 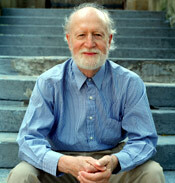 -- Composer, poet, pianist and vocalist Mose Allison will appear in concert on Wednesday, February 15, at 7:30 p.m. in Jobe Hall on the Delta State campus. The concert, titled “DSU Welcomes Mose Allison Home,” is free and open to the public. Allison will have a busy schedule when he comes home to Mississippi. After his performance at Delta State, he will be honored in Jackson, where the Mississippi Arts Commission will present him with a Governor’s Lifetime Achievement Award on Wednesday, February 16, at 1:00 p.m. in Wells Memorial United Methodist Church. The following day, he will be present at the Allison Mercantile Store in Tippo at 1:30 p.m. when the Mississippi Blues Commission unveils a marker on the Mississippi Blues Trail in his honor. Both the Governor’s Awards and the Mississippi Blues Trail unveiling are free and open to the public. Immediately following the unveiling ceremony all are invited to the CARE building in Charleston for a reception and short program presented by CARE. Allison’s performance at Delta State is made possible by funding from the Delta State Foundation, Delta Center for Culture and Learning, the Bologna Performing Arts Center, the Tri-State Education Foundation, the Delta State College of Arts and Sciences, and the Mississippi Arts Commission. For additional information, visit Delta State's website.